Stage and screen star John Barrowman is to return to the West End this autumn, donning the stunning and sparkling dresses of Albin in the award winning musical La Cage aux Folles. He will follow Roger Allam, who is currently playing the role of the headlining drag act, from 14 September and will stay with the production until 28 November. 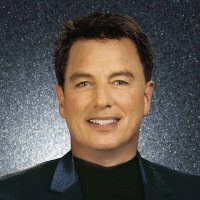 A multi-talented entertainer, John Barrowman became known to millions of TV viewers and science fiction fans as Captain Jack Harkness, a reoccurring character in Doctor Who who was so popular that his own, more adult, spin-off series, Torchwood, was created. Other TV credits included joining the judging panel of the BBC's searches for new West End stars, I'd Do Anything, Any Dream Will Do and How Do You Solve A Problem Like Maria? More recently he has hosted his own Saturday night light entertainment show Tonight's The Night. Before television fame, Barrowman got his big break on the London stage, starring opposite Elaine Paige in the 1989 production of Anything Goes, a show he returned to for Trevor Nunn's successful National Theatre revival in 2002. His other West End credits include Miss Saigon, The Phantom of the Opera, Beauty And The Beast, The Fix, Sunset Boulevard and Chicago. Tue 30th Apr 2019 to Sat 4th May 2019 Calendar GirlsMore Info..